Hazardous waste management is a serious concern for healthcare facilities, and new EPA regulations have far-reaching implications. In this webinar, Marge McFarlane, PhD, MT (ASCP), CHSP, CHFM, CJCP, HEM, MEP, CHEP, and Darrell J. Oman will explain how organizations can comply with the Resource Conservation and Recovery Act (RCRA) hazardous waste regulations, which are much more complex than existing infectious waste requirements. In addition, they will discuss how to keep up with the many layers of hazardous waste requirements, detail the key elements of a facility hazardous waste management program, and provide best practices and lessons learned to maintain compliance and keep patients and staff safe. Marge McFarlane, PhD, MT (ASCP), CHSP, CHFM, CJCP, HEM, MEP, CHEP, is principal of Superior Performance, LLC, in LaPointe, Wisconsin. 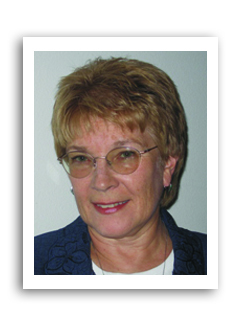 She is an independent safety consultant with more than 40 years of healthcare experience. She is currently working with a number of healthcare systems nationally for CMS and Joint Commission readiness in the areas of environment of care, life safety, and emergency management. 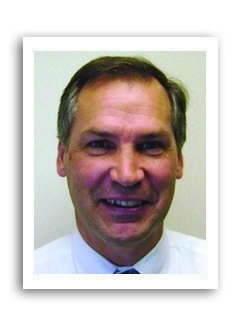 McFarlane is a member of the American Society for Healthcare Engineering (ASHE) and the American Industrial Hygiene Association, and serves on the WHEA Code Committee. She has authored The Compliance Guide to the OSHA Standard for Hazardous Chemical Labeling and The OSHA Training Handbook for Healthcare Facilities, Second Edition, and also serves as an author for the HCPro medical and dental OSHA manuals and OSHA eLearning programs. Darrell J. Oman has more than 25 years of consulting and management experience in the environmental, health, and safety field and has presented at numerous national and regional professional and industry-sector conferences. He currently is program manager of consulting services, compliance, and regulatory affairs for Stericycle Environmental Solutions in Blaine, Minnesota. There, he specializes in regulatory compliance auditing, EH&S program development, and consulting and comprehensive waste management assessments for hospital systems, healthcare-related corporations, and various retail, manufacturing, and industrial corporations throughout the United States.